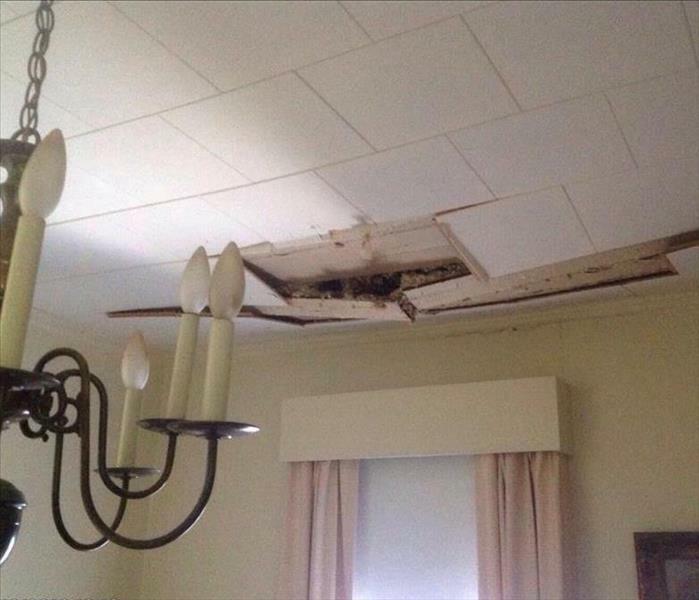 After a tree fell on a local home, it caused substantial damage to the roof and ceiling. In this picture you can see the large hole in the roof which allowed water to come inside. Our Project Manager was able to patch the roof and quickly started on fixing the storm damage! 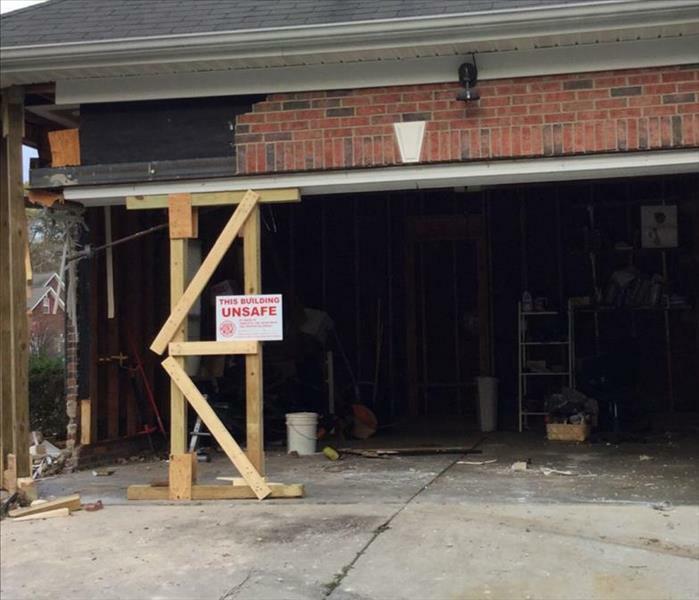 After a storm came through, this homeowner's garage was struck by a tree that had fallen. SERVPRO got rid of the tree and boarded up the home until the repairs team could get it rebuilt. In this case, we also boarded up the windows that had shattered as well. Mold can hide anywhere. It's important to be on the look out while you are doing your home cleaning to ensure mold spores are not reproducing and spreading in your home. 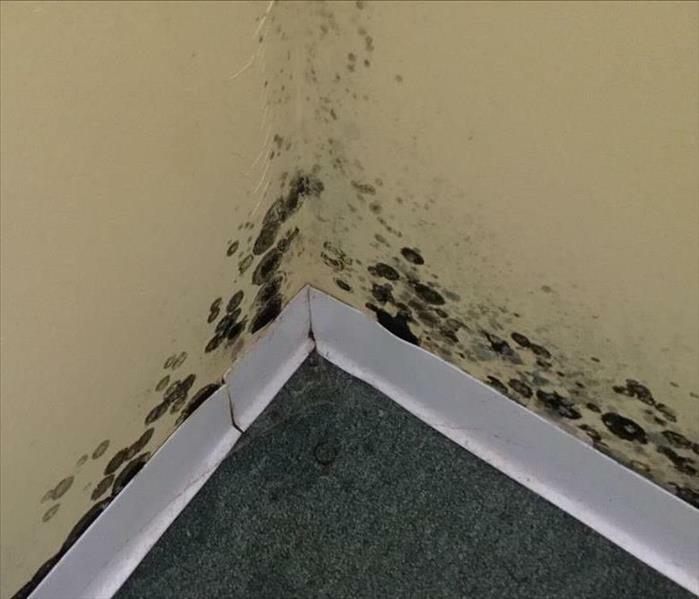 Mold likes damp and dark places. Therefore, a corner or even a vent is a very common place! Bathrooms are known to keep condensation and steam, especially after long showers! This can cause mildew and mold to grow throughout the area. This picture shows just one hiding place of where mold can start to grow. It's important to check your bathrooms from time to time to make sure mold isn't present. Notice anything wrong with the ceiling in this picture? 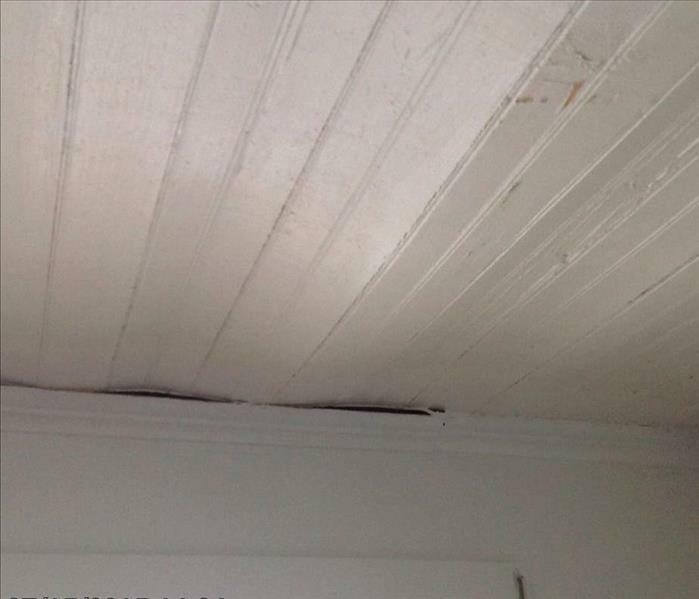 The ceiling is wavey and buckled from the water damage above. This is not uncommon, but it's always best to catch the damage as early as you can. 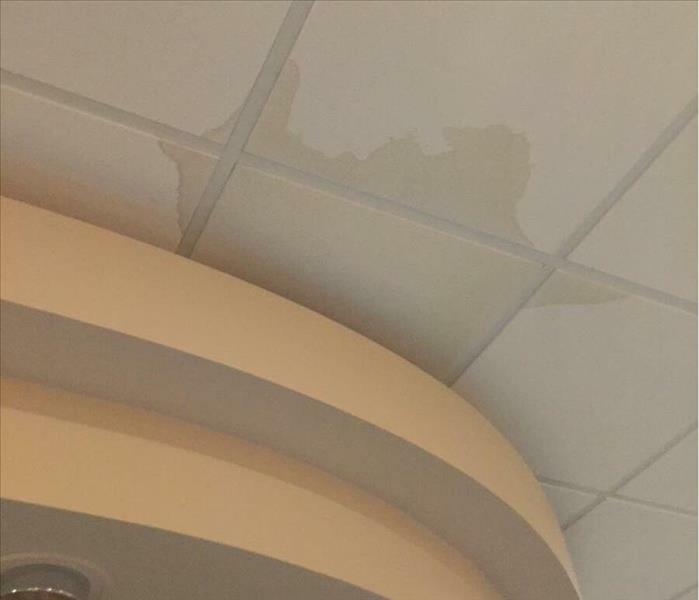 Water damage of any kind can show differently. 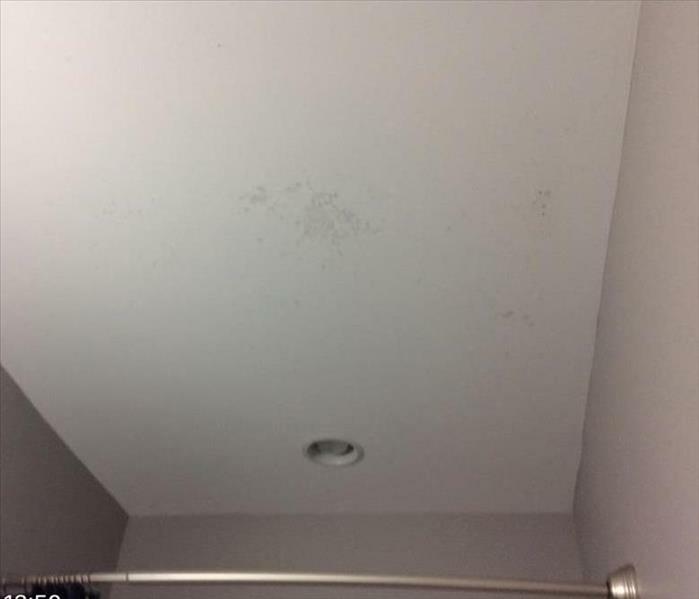 Water circles on your ceiling can be a sure sign of a problem. When water gets soaked into the flooring, it tends to settle. Overtime, this can result in the ceiling falling through! SERVPRO was called to check on a water ring on a homeowners ceiling and this picture shows what was found! It's important as a homeowner to pay attention to your home. When you notice something going on, call someone! It could save your home and your health! 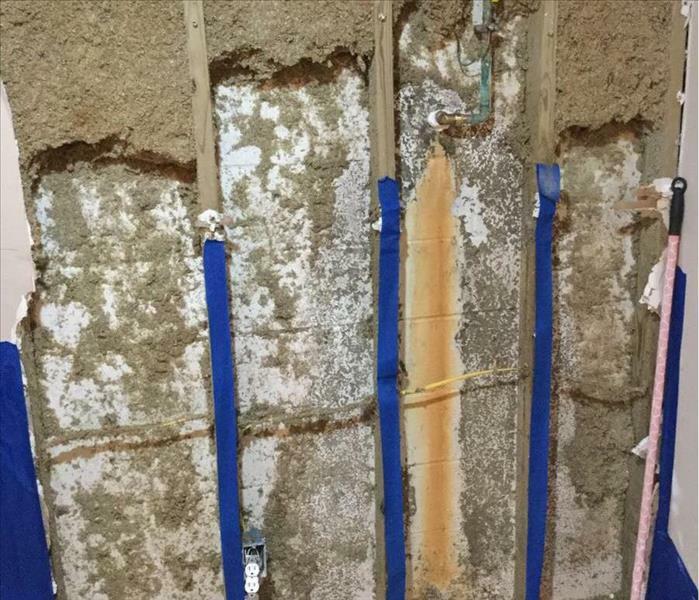 After years and years of unknown water damage and leaking behind the counters, mold had began to grown and spread throughout the walls. Luckily they found it and called SERVPRO to remove it before it got worse! 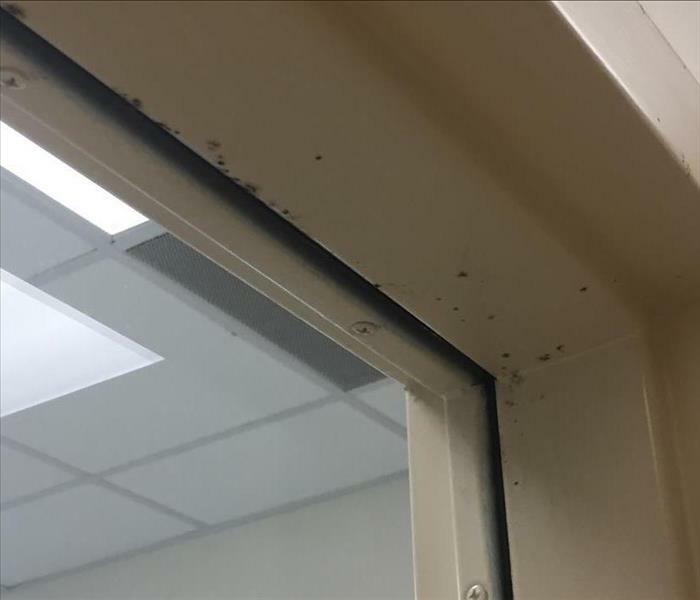 Mold can hide anywhere, even in little cracks of the doors! 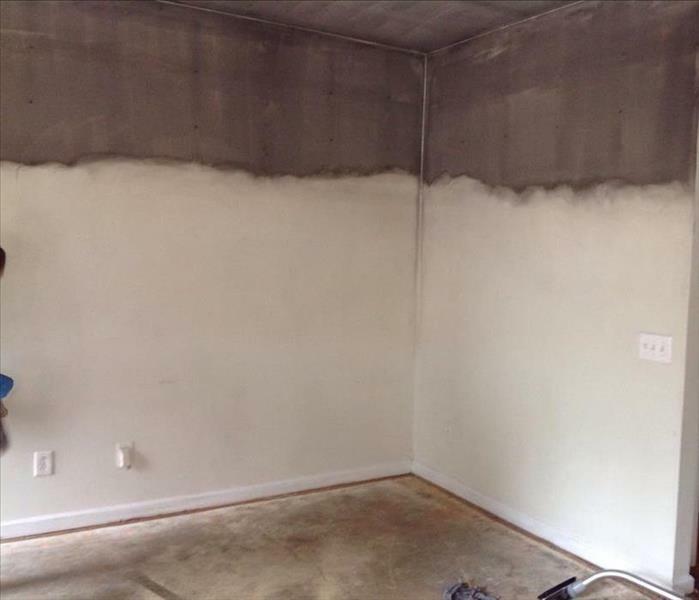 In this commercial building, mold was visible but ended up being a lot more than what it originally looked like. With mold, it's never just as it seems. If you see speckles, chances are it's in more places than you think. It's always best to call the professionals. Isn't this picture scary? This was someone's home and place of comfort before the crisis happened. It's so important to be ready for an emergency and to have a plan in place for you and your loved ones to follow. In this picture, you can see the homeowner's couch that was completely engulfed in the fire. 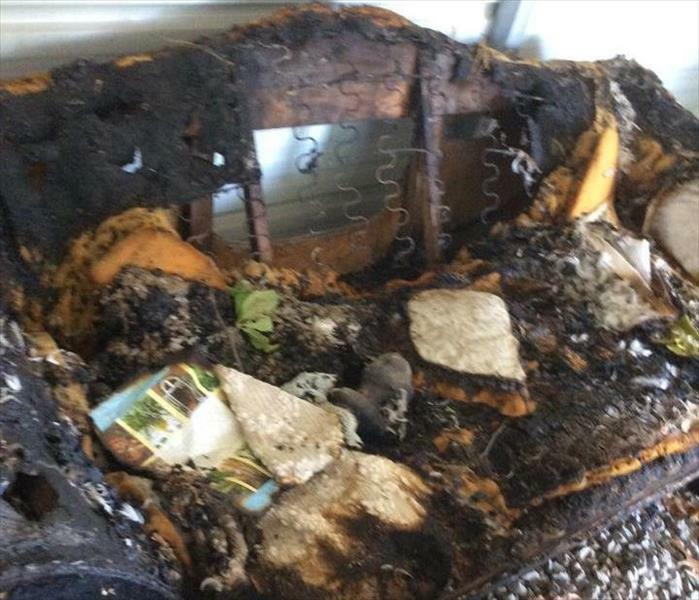 This is a great example of what a fire can do to your belongings. Always have an emergency plan in the event a crisis, like a fire, hits your home. The more prepared you are, the less damage than can occur! When a pipe line busts, this advertising business called SERVPRO! After extracting water in several rooms throughout the company, a complete drying took place. In just a matter of days the business was back up and running "Like it never even happened." Storms and heavy raining can do numerous damages to your home. While heavy rainfall comes down, there's no telling where it will travel. In this case, the rain ended up coming through the storm door of this home and flooding the first floor! Mold can hide anywhere- behind walls, in the ceiling, or under the flooring. It can be detrimental to health and those who are breathing it in. Because of this, it's important to have it properly tested and removed from the areas it's living! When a building has multiple floors, it's not uncommon for water to seep through to the level underneath! When this occurs, the ceilings have a greater chance of falling down. If you notice your business having dark spots or "halos" around light fixtures, you may have a water loss! 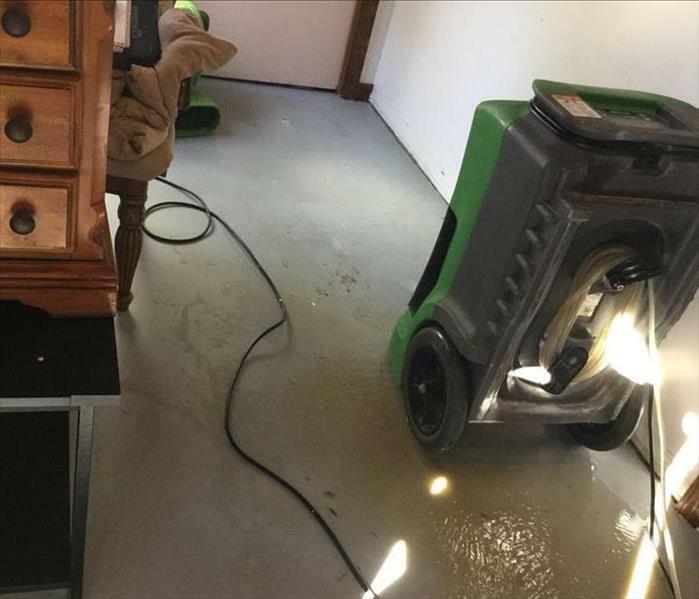 This picture is an example of how sub flooring can hold water! Even if you think the tile or the carpeting on top of the sub floor is dry, it may have already seeped through and affected more than you think! When flooding or a leak occurs, it's important to make sure all materials are corrected before the problem gets worse! While cooking can be a fun activity, it's important to keep your attention close by! In this home, the client was making an afternoon snack when she got distracted just for a moment and this is the outcome. 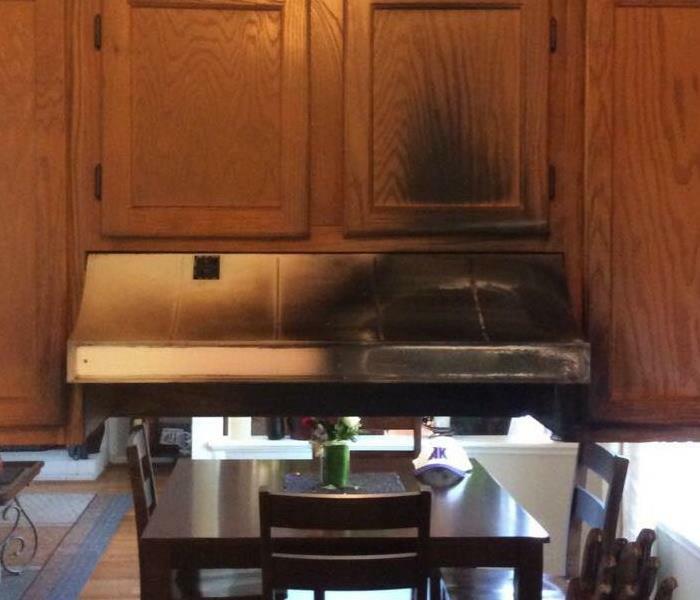 Fires can happen quickly and spread even quicker. One tip is to keep an extinguisher close by in the event of an outbreak. In this picture, one of our trained crew technicians located the source of mold in a client's home! 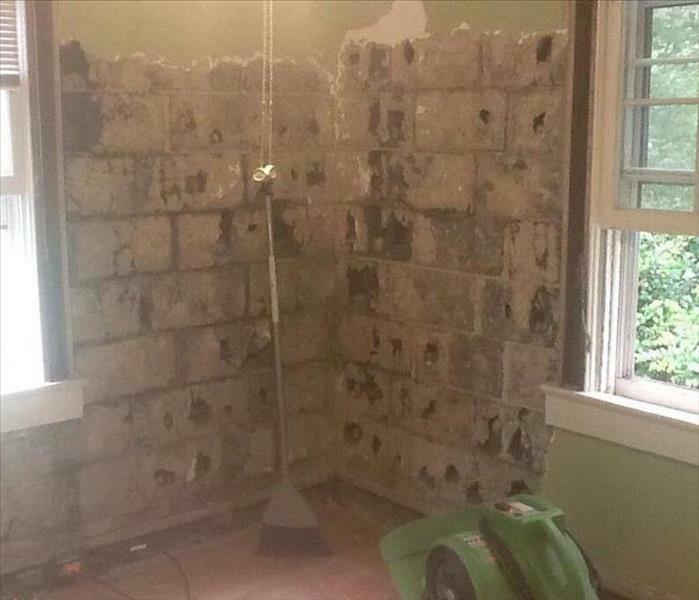 You never know what your walls may hold so be sure to stay up to date on testings to better protect your family and your home! 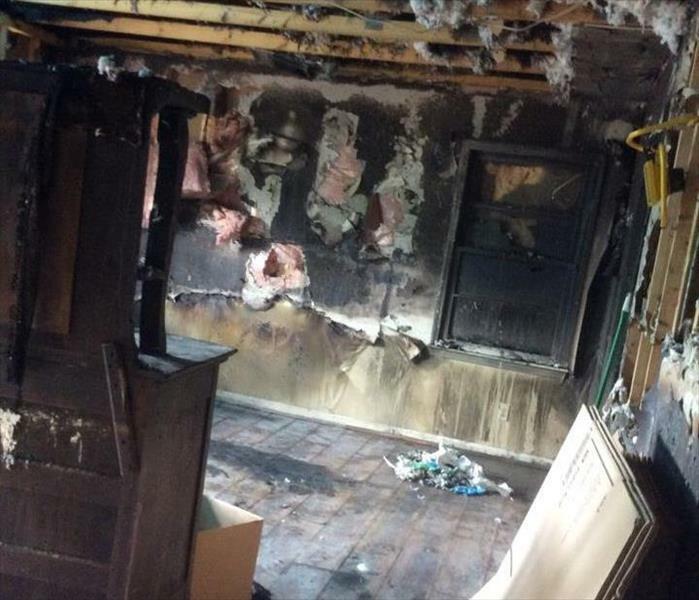 After crisis hit a local family, they reached out to SERVPRO for help. Here is the crew checking out a home that was struck by a natural disaster. Many homes were hit during this storm, but SERVPRO was quick to respond! Here's the owner of the SERVPRO of Union County franchise getting ready to perform a clean up pertaining to a crime scene! 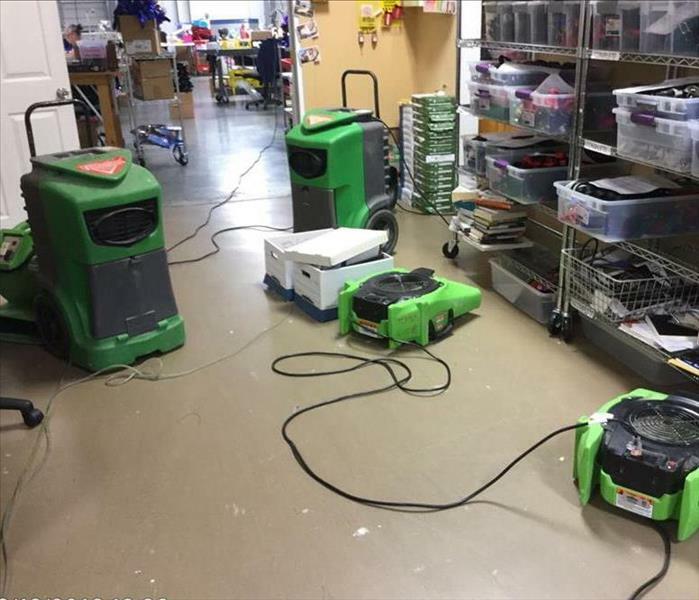 As you can see, a lot of supplies goes into different clean ups but SERVPRO is always prepared. 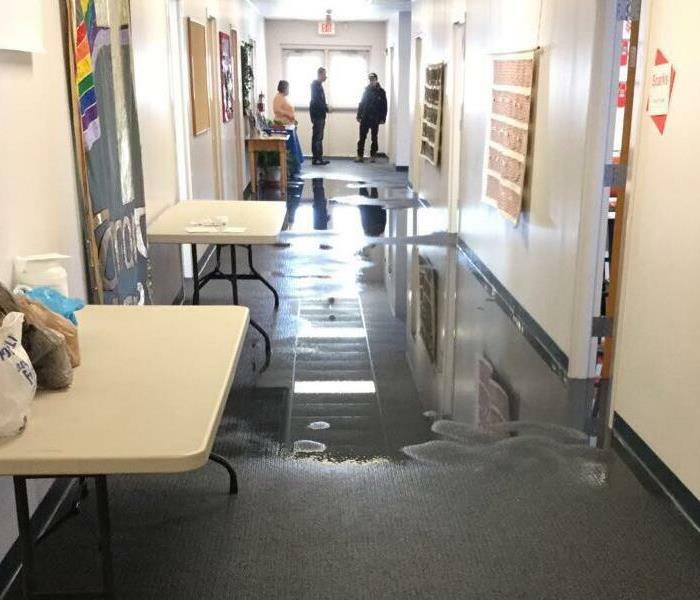 When a local church noticed water in several rooms they gave us a call. This picture is an example of "standing water". In the event of standing water, that water will need to be extracted from the placement in order to start the drying process. In this photo you can see the horrific damage that just the smoke from a fire damage can cause. After the first round of cleaning the walls you can already tell a noticeable difference. Just remember- while fire destroys homes, the smoke can cause just as much damage. 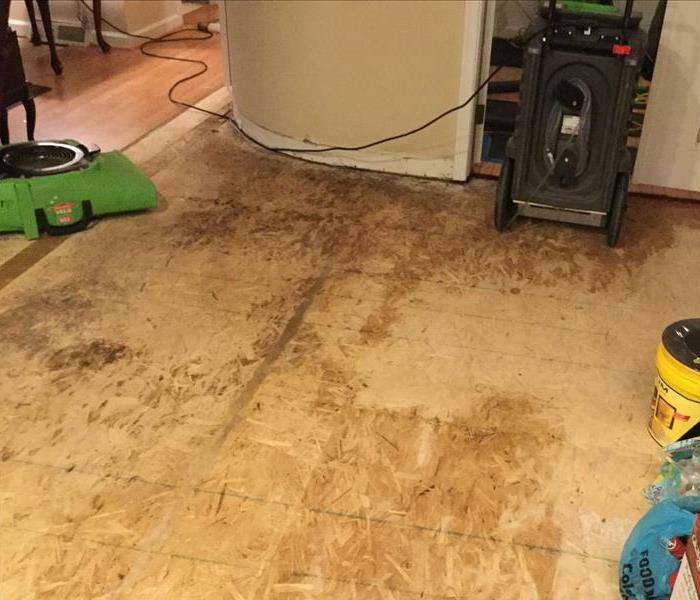 Let SERVPRO handle the clean up for you.